Jess Jackson built a virtual wine empire, acquiring tens of thousands of acres in five countries, and developing 35 wineries and labels. There are multiple tiers within Jackson Family Wines, now owned by the Jackson family heirs. Jess Jackson's widow, Barbara Banke, is the Chairman of Jackson Family Wines, formerly known as Kendall-Jackson Wine Estates. The company has three dozen California wine brands divided among three divisions: Kendall-Jackson Wine Estates (Highland Estates, Stature, Jackson Hills, K-J Vintner's Reserve, K-J Grand Reserve, Avant), Artisans & Estates (Matanzas Creek Winery, Lokoya, Byron Vineyard & Winery, Freemark Abbey Winery, Cardinale, La Crema Winery, La Jota Vineyard Co., Murphy-Goode Estate Winery, Arrowood Vineyards & Winery, Hartford Family Winery, Matanzas Creek, Stonestreet, Carmel Road, Cambria Winery and Verité), and Jackson Wine Estates International (two Bordeaux chateaus, wineries in Chile, Australia and Italy). Each of the California brands has its own winemaker with Randy Ullom as the head Winemaster. Most of the brands have their own winery and vineyards but may draw upon mutual grape sources. The wineries exercise their own artistry. The Jackson family owns 13,000 planted acres along the cool coastal ridges of California, including exceptional Pinot Noir vineyards in the best cool-climate regions including Anderson Valley, Sonoma Coast, Russian River Valley, Carneros, Arroyo Seco and Santa Maria Valley. Only the Sta. Rita Hills is lacking, but the winery may explore this region further in the future. Most of the annual fruit requirements are sourced from the estate vineyards: two-thirds of fruit used in Kendall-Jackson wines is sourced from the family's vineyards. More recently, Pinot Noir labels Champ de Reves, Maggy Hawk and Windracer have entered the marketplace with great success. The CEO of Jackson Family Wines is Don Hartford of Hartford Court Winery, who is married to Jess Jackson's daughter, Jenny Jackson. Since Banke took over the company after Jackson's death in 2011, she has acquired additional vineyards, including 1,365 acres in Oregon (including Zena Crown and Gran Moraine vineyards), the first foyer into this state by Jackson Family Wines. She added 14 new properties and 2,800 acres to the winery's holdings, now totaling about 35,000 acres worldwide. A new winery is scheduled at Zena Crown Vineyard where an estate Pinot Noir will be produced beginning in 2013 or 2014 with Oregon winemaker Tony Rynders as consultant working with winemaker Shane Moore (former associate winemaker at La Crema). The Gran Moraine Vineyard will provide grapes for a Pinot Noir under the La Crema label. Jackson Family Wines also acquired the Hickinbotham Vineyard in Australia's McLaren Vale, reportedly paying more than $10 million for the 445-acre vineyard. The company is also a partner in Merrain International, an oak barrel stave mill in the Vosges district of France, and distributorships are owned in California, Arizona and Canada. Nearly every wine is produced from estate vineyards, numbering 10,159 acres across the state. The company also owns 11,055 acres of vineyards internationally. 23% of California vineyards are planted to Pinot Noir. 100% of Kendall-Jackson's vineyards in California are SIP (Sustainability in Practice) Certified and CCSW (Certified California Sustainable Winegrowing) recognized. 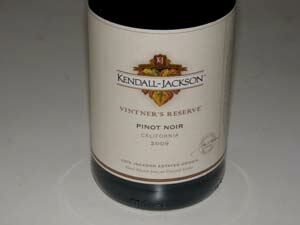 Total production is about 5 million cases, of which 3 million cases are labeled Kendall-Jackson. Annual revenue is reportedly $500 million. 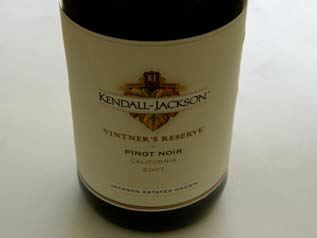 Kendall-Jackson made its name by producing a consistent, fruit-forward, aromatic type of Vintner's Reserve Chardonnay, drawing from vineyards all over California to form a blend. The wine was very appealing to the American palate because of its hint of sweetness and converted many Americans into wine drinkers. Today the wine is more serious, more dry than it used to be and is 100% Chardonnay. A tasting room, Partake by K-J, is located near the northwestern corner of the Healdsburg Plaza and is open daily from 10:00 to 5:00. Partake by K-J is an eatery and tasting lounge specializing in wine flights and seasonal bites featuring ingredients from the winery's organic gardens and Sonoma County's culinary artisans. The space spans two rooms with seating for 55 guests. Reservations are suggested (visit partakebykj.com). Jess Jackson passed away in April, 2011. The future of the winery will fall onto the shoulders of Jackson's youngest children.